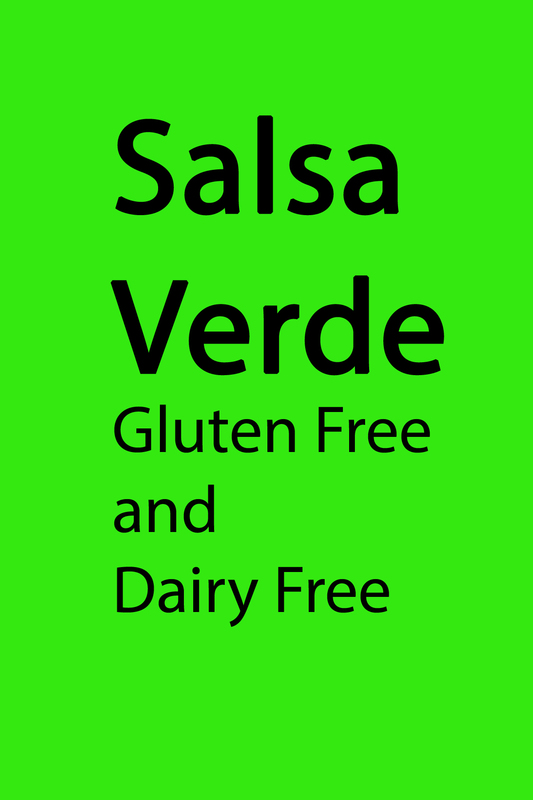 Salsa Verde is a great Mexican salsa that works on the side or as the sauce on top of the main dish. This is a recipe for easy to make Salsa Verde that is really tasty. You can put it on top of just about anything, roasted meats, tacos, and more. It can also be used as a sauce to cook meat in. Salsa verde doesn’t have to be very spicy, you can put more or less chilis in it to make it as hot as you like. A note of caution, not all chili’s are created equal, so some may be hotter than others. There is an option to use fresh or canned tomatillos. Tomatillos can be hard to find and they are a little expensive fresh, but they do taste better. If you live near a Mexican grocery store that sells fresh foods you can often find them there. I actually have found them at the Safeway in my neighborhood lately. I use the canned tomatillos when I can’t find fresh and they are also good. The nice thing about the canned ones is that you do not have to peel the papery outside part off. This recipe takes about 35 minutes to make. Cut up onion and garlic, and remove the seeds from the serrano peppers. If you are using fresh tomatillos take off the outer papery cover and rinse them. Add onion, garlic, tomatillos, and peppers to a large pot and cover them with water. Cook them until the onion and peppers are soft and the tomatillos turn a darker green. Let it cool for a minute and put it in the food processor or blender. Add the salt and cilantro, about half of a bunch. Blend it until smooth. Then return it to the pot and cook it for another 15-20 minutes. So you can stop there and use it as a topping or dipping salsa, or you can use it as the sauce to cook you chicken, mushrooms, or whatever else you want to infuse with salsa verde goodness! Since we have a kid that doesn’t do spicy yet, we keep it on the side these days. However, before the kiddo came along we used to cook chicken and mushrooms in the sauce and it was amazing! Perhaps I will have to add that as another recipe here some day soon. I will have to make sure to invite some spice lovers over to test taste it for me. Since it will need an awesome picture and my kid won’t help me eat the finished dish. I love salsa verde! Great as a dip or marinade. This looks delicious. I LOVE salsa verde. I so appreciate that this is vegan. I can’t wait to try it and have it with some limey corn chips!